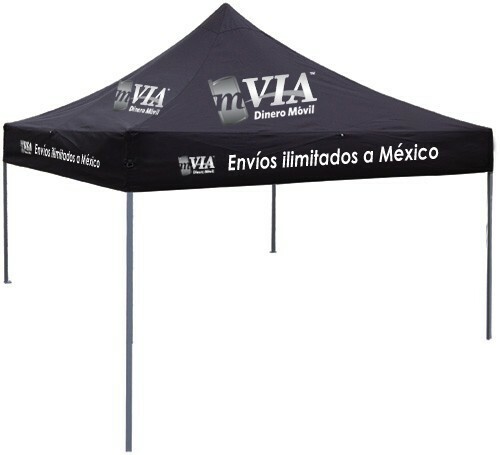 The 10’ft x 10’ft canopy (~12ft high peak, 7ft clearance) is ideal for events or recreational use – promotions, parties, picnics, flea markets, etc. > With full color dye-sub graphics also available (please inquire). Also available without graphics for $179.